STOP BY RCI SEPTIC SERVICE BOOTH #1205 AT THE NH STATE HOME SHOW MARCH 8-10, 2019 DOUBLETREE EXPO CENTER IN MANCHESTER NH! 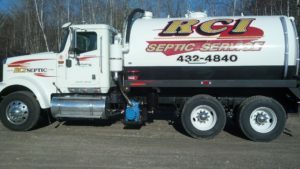 RCI Septic Service is a local, family owned business, offering fast, friendly, reliable and affordable septic tank pumping, septic tank repair & replacement, baffle installation & repair, line snaking and routine maintenance. We service the southern New Hampshire area including Londonderry, Litchfield, Merrimack, Bedford, Hudson, Derry, Auburn, Chester, Hampstead, Hooksett, Manchester, Pelham, Salem, Sandown, Windham & more. Time lapse video of RCI Septic Service septic system installation. RCI Septic Service is certified by the New Hampshire Department of Environmental Service to install septic systems. 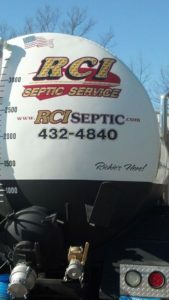 RCI Septic Service is fully insured. Are you buying or selling a home? RCI Septic will give you an honest report of the condition of a septic system. We will explain our findings and any recommendations. I have serviced the southern New Hampshire area for over 25 years. I started RCI as an excavation business, learning from my father & grandfather, but it has evolved into the more specialized Septic Service company that it is today. RCI Septic Service is a family owned and operated business. My son Kyle recently joined me as an apprentice, adding the 4th generation. We provide friendly and professional service, are constantly up to date on changing state rules & regulations, as well as the newest technology in the business.